Becoming a Distributor/Wholesale Buyer is simple. Read and agree to the LifesMiracle Policies and Procedures, then click the Sign-up button on the pack to choose how you would like to enroll. 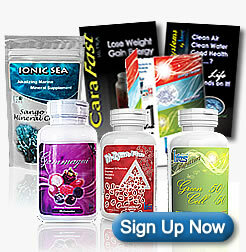 Receive an average 40-50% discount on LifesMiracle product purchases! Case pricing availability! Allows you to build a customer base to fund your own product purchases, or build a team that pays unlimited commissions to unlimited levels! This option enrolls you into the monthly autoship for Ionic Sea. If you do not wish to receive another shipment, just cancel your autoship in your back office before the next month's anniversary date. You still get the lowest price for this order. You also get the membership, website and back office free for the first year! 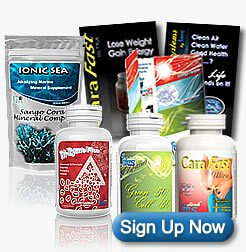 For special pricing and eliminate the $39.95 startup! 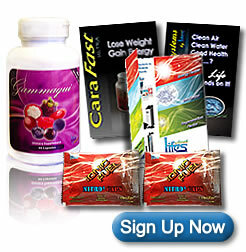 You get the lowest price for these product packs. 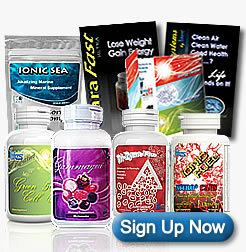 These options will automatically enroll you into the monthly autoship for the pack you choose. 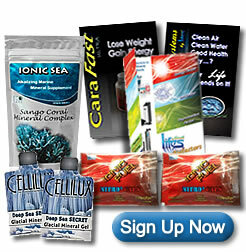 Autoship for any of these packs qualifies you for the Double Direct Bonuses! And Eliminate the $39.95 Startup Cost! You also get the membership, website and back office free for the first year, as well as qualify for the Double Direct Bonuses with this Pack! This option will enroll you on autoship for the Miracle Pack. If you don't wish to receive another shipment, just cancel your autoship in your back office after you receive your order and before the next month's anniversary date. This option will enroll you on autoship for the Miracle Pack Plus. If you don't wish to receive another shipment, just cancel your autoship in your back office after you receive your order and before the next month's anniversary date. This option will enroll you on autoship for the Cellilux Pack. If you don't wish to receive another shipment, just cancel your autoship in your back office after you receive your order and before the next month's anniversary date.